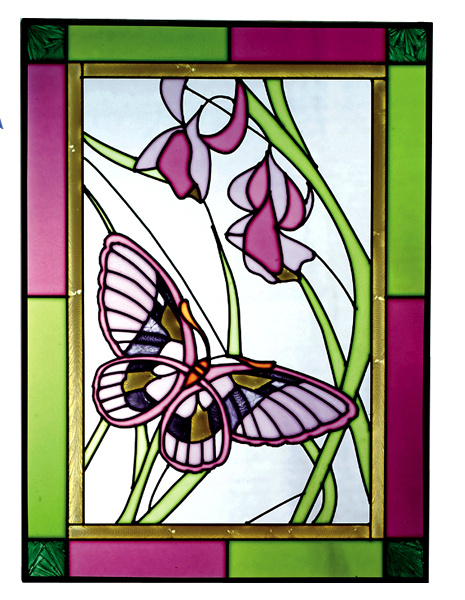 "Butterfly Flowers Stained Art Glass Suncatcher" Contemporary styling adds to the appeal of this vivid butterfly design! This hand-painted vertical panel is zinc-framed and ready-to-hang thanks to a pre-attached chain loop in attractive silver tone. Measures 14" high x 10.25" wide. Made in the USA by Silver Creek.